Presenting this set of slides with name - Lucky Spinning Wheel Of Fortune. This is a nine stage process. The stages in this process are Wheel Of Fortune, American Game, Wheel Watchers. 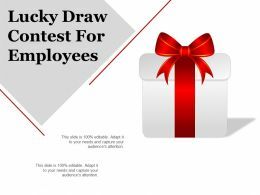 Presenting lucky draw contest for employees example of ppt presentation. 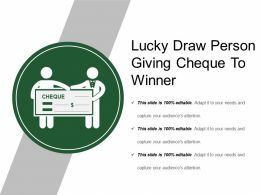 This is a lucky draw contest for employees example of ppt presentation. This is a one stage process. The stages in this process are lucky draw, lottery. 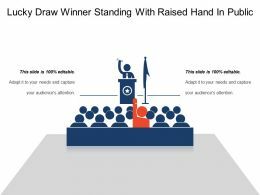 Presenting lucky draw contest example ppt presentation. 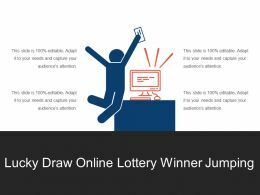 This is a lucky draw contest example ppt presentation. This is a one stage process. The stages in this process are lucky draw, lottery. 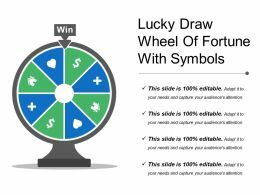 Presenting this set of slides with name - Lucky Draw Wheel Of Fortune With Symbols. This is a eight stage process. 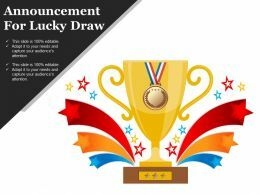 The stages in this process are Lucky Draw, Lottery, Win, Prize. 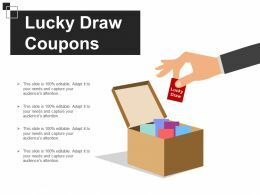 Presenting lucky draw coupons sample ppt presentation. 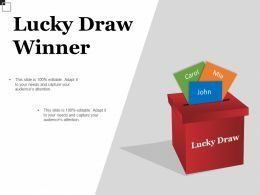 This is a lucky draw coupons sample ppt presentation. This is a one stage process. The stages in this process are lucky draw, lottery. 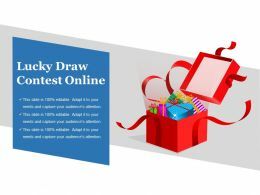 Presenting lucky draw contest online sample of ppt presentation. 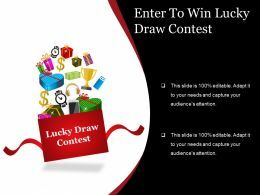 This is a lucky draw contest online sample of ppt presentation. This is a one stage process. The stages in this process are lucky draw, lottery. 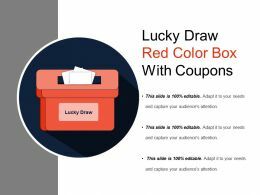 Presenting this set of slides with name - Lucky Draw Red Color Box With Coupons. This is a one stage process. 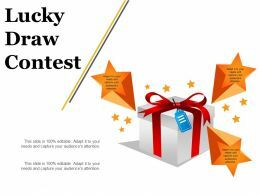 The stages in this process are Lucky Draw, Lottery, Win, Prize. Presenting announcement for lucky draw example of ppt. This is a announcement for lucky draw example of ppt. This is a one stage process. The stages in this process are lucky draw, lottery. 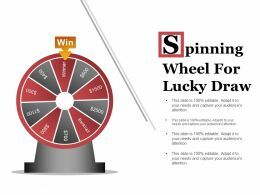 Presenting spinning wheel for lucky draw powerpoint templates. 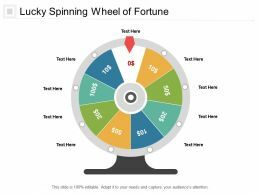 This is a spinning wheel for lucky draw powerpoint templates. This is a one stage process. The stages in this process are lucky draw, lottery. 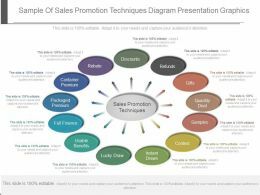 …is a sample of sales promotion techniques diagram presentation graphics. This is a thirteen stage process. The stages in this process are discounts, refunds, gifts, quantity deal, samples, contest, instant draws, lucky draw, usable benefits, full finance, packaged premium, container premium, rebate.